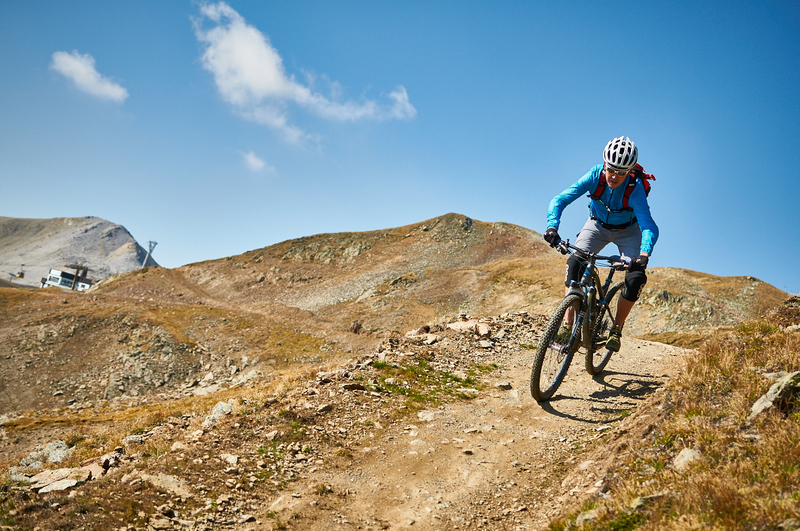 For lots of years the trails had to be more challenging, steeper and harder to ride. I think that’s good, it’s good for your skills and the rewarding feeling after a gruelling run is just so good! With the evolving bike industry the harder trails are getting easier accessible for a larger audience, which is good as well. 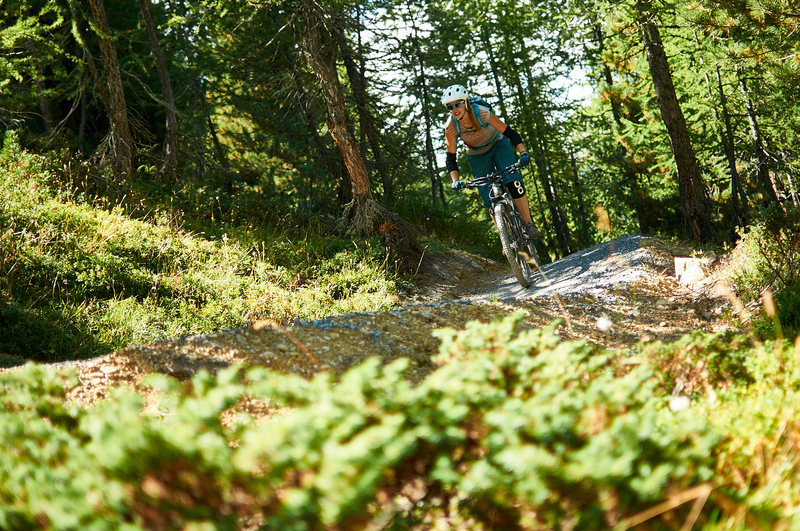 You see the trails around the globe are maintained better, and besides trying to have less impact on the environment while the trails become better, there are more sorts of trails popping out in different area’s. 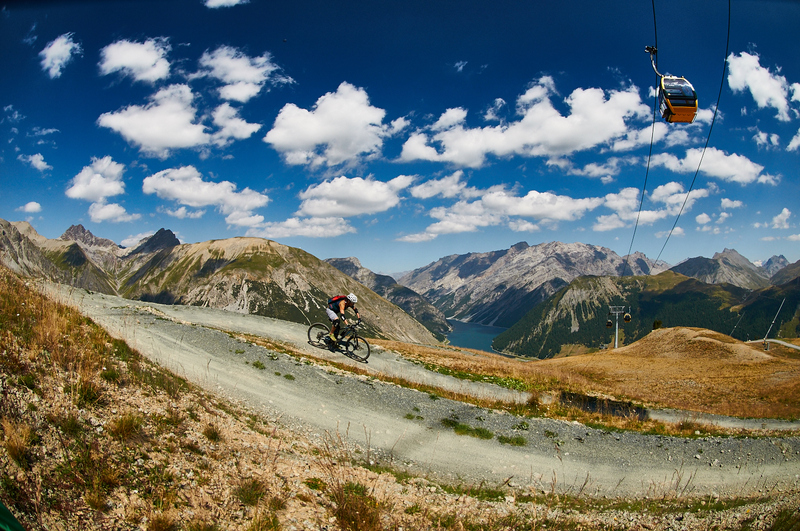 One of the things you probably hear lately are ‘flowtrails’. Some say flow is another word for ‘easy’… But is this true? 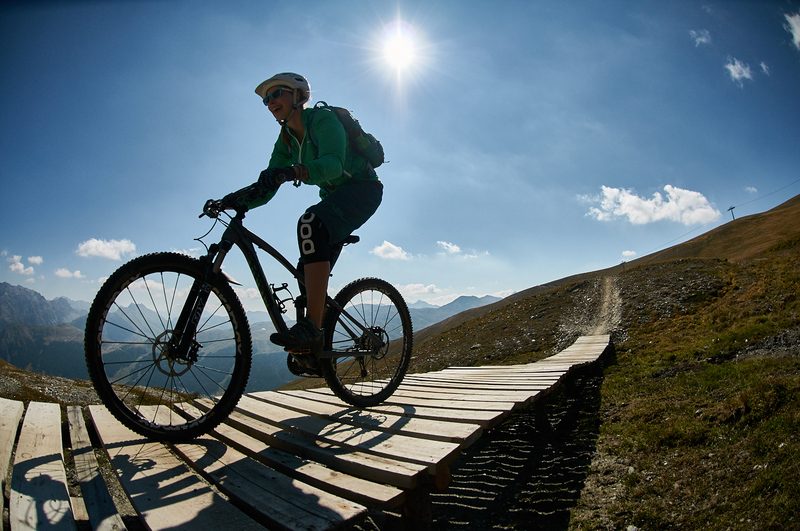 Can flowtrails boost your skills, bring a smile on your face and be challenging at the same time? Let’s give it a try! 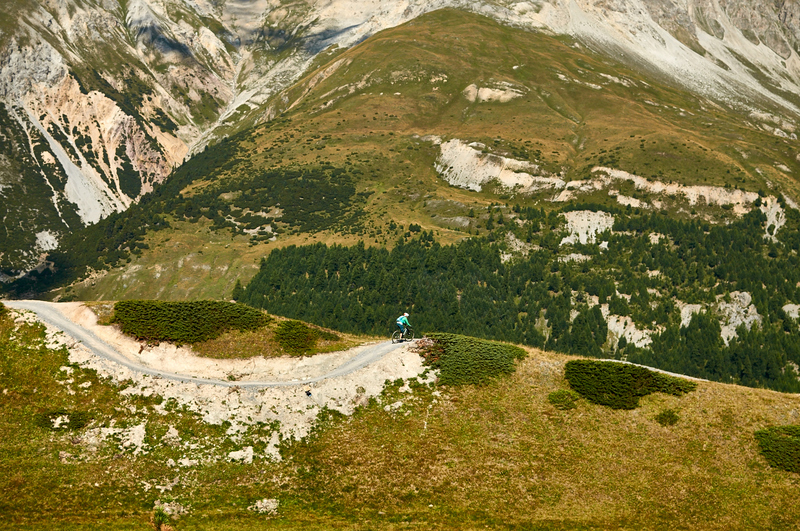 Isn’t it an awesome place to ride your bike? 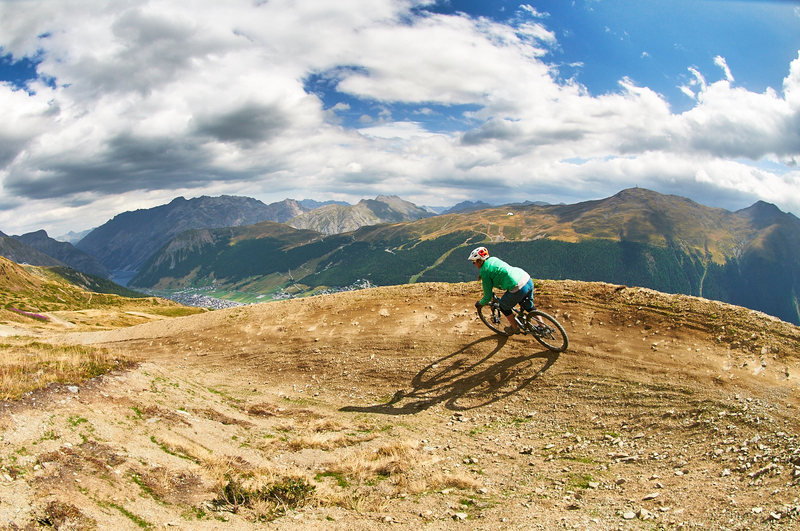 Livigno is one of the bike areas investing in new trails. A few years ago the first flow trail opened close to the Motolino cable car, and in 2015 they built 3 new flow-trails which are accessible from the Carosello 3000 cablecar which operates on the other mountain across town. 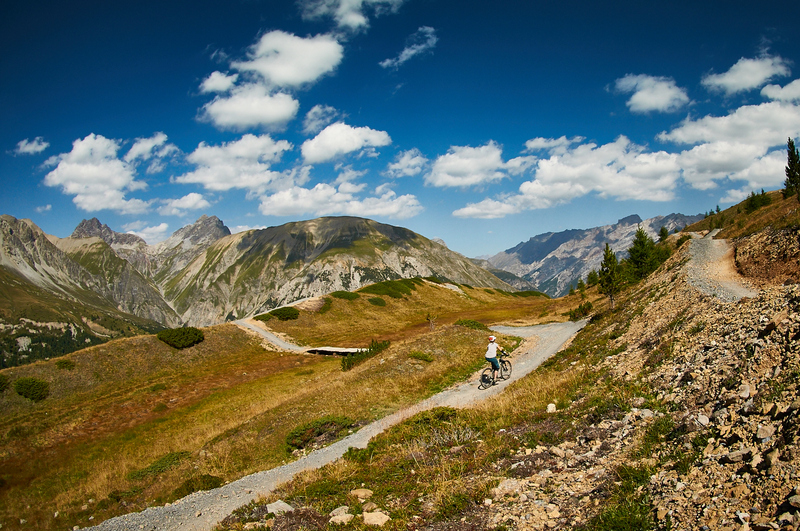 Between some events we packed our bikes and went to Livigno to try the new trails ourselves. Right now, these 3 new trails are already open but we saw a lot of digging going on while Hans ‘No Way’ Rey did some test rides. Sounds promising for the future! For me it was an extra challenge, I was healing from a broken collarbone and it would be the first time back on the bike since 5 weeks. Here we go! 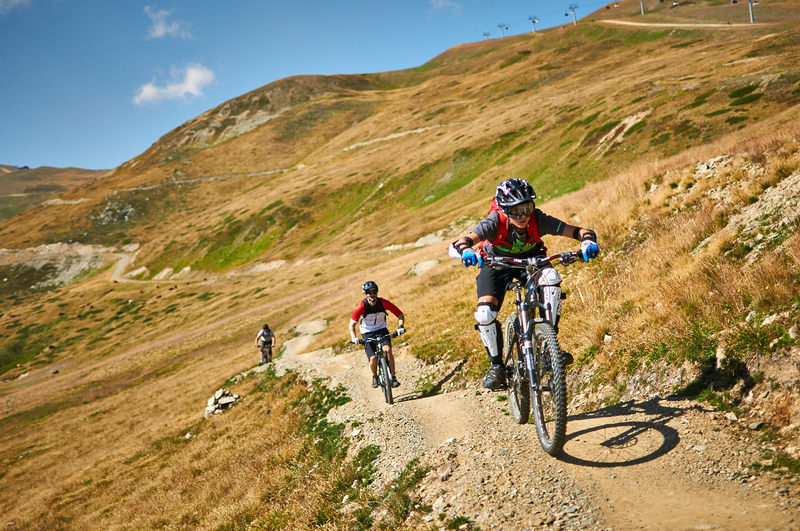 With 6 kilometers in length and a vertical drop of 469 meter it’s one of the largest flow trails in Livigno. It’s rated blue, which means it’s quite easy to ride without any craziness. From the Carosello 3000 cable car it’s just a short uphill pedal before the fun begins. The trail brings you from the south part of the mountain to the north part and it’s connected to other trails as well. It’s a very good trail to start with, everyone with some bike skills can ride it and it gives you a great view of the area. The scenery is just awesome! The trail contains a few small obstacles like a pump-trail, small drops (with chicken ways around) and some small jumps. Easy to ride, good to jump if you’re confident and gain more speed. 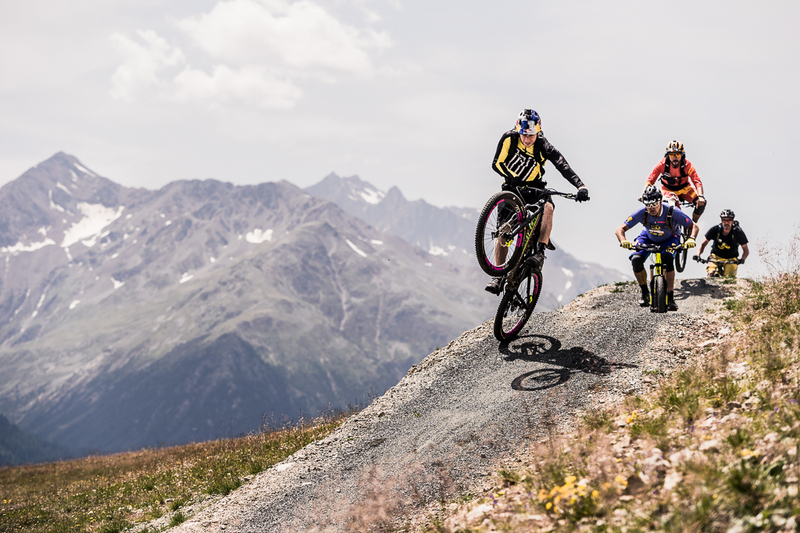 Can you finish the pump-trail without pedalling? My absolute favourite! 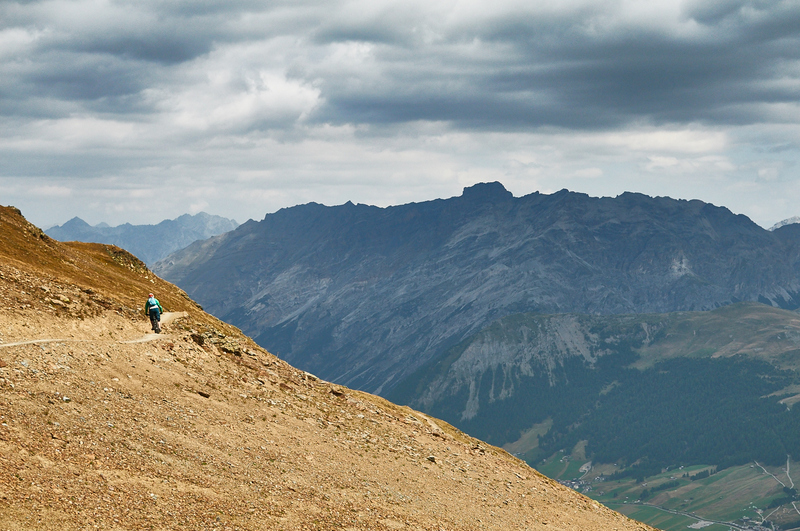 It’s connected to the Coast To Coast Trail, but it’s also accessible directly from the cable car on the other side of Livigno. Again, scenery is great! Only at the beginning of the Roller Coaster it’s possible to enjoy the view! The name says it all, it’s one big rollercoaster ride from the beginning till the end, 3,5 kilometers and 342 meters of vertical drop. Super smooth corners, wallrides, steeper sections and jumps. It starts from an open area with a cool view and ends through the woods for some more serious stuff. Just check the pictures and see for yourself! 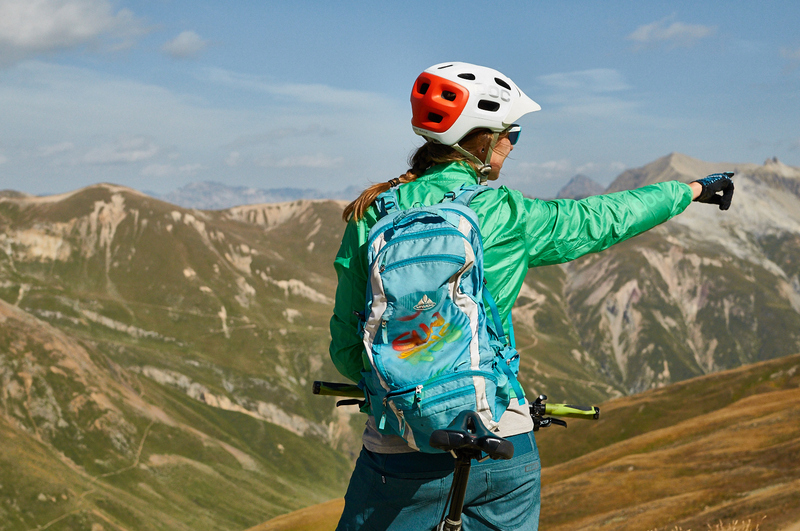 Ok, if you think the trails above are too easy for you then head straight to this new trail. This trail is harder than the two trails above. Still, it’s super flowy and smooth. Expect wide banked turns (some are really wide) and large rounded bumps. If you go slow it’s easy to ride. But if you go fast you’ll get big air-time! Over and over again. 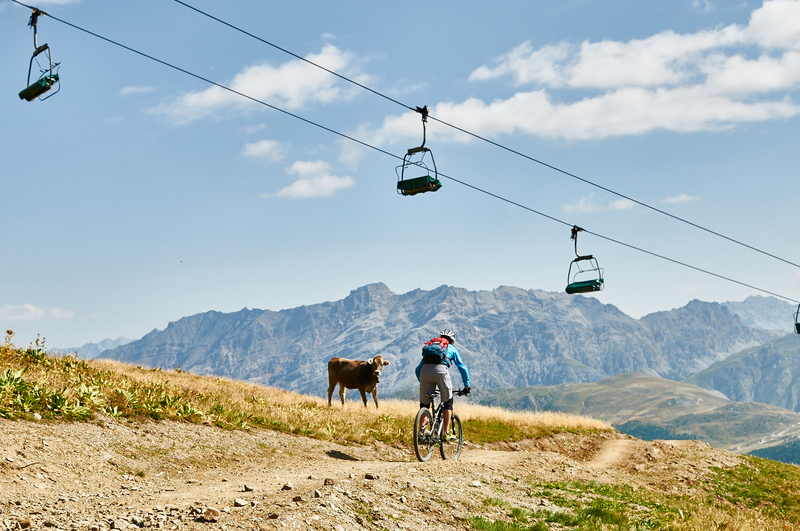 The trail starts on 1/3th of the Coast to Coast and heads down to the middle station of the Carosello 3000 cable car. The construction of the second part of Hutr Dream was still in progress when we were there. Wide banked turn, after turn, after…. Flow trails don’t have to be easy, but we must say it sure is a lot of fun. We were very confident riding the trails, even with my injury I had a blast. The good thing is you’ll learn a lot while riding these trails, it tickles you to go faster every time you ride it.